Every company has to deal with a stream of incoming postal items. In some cases these documents already arrive digitally, but many organizations still receive a constant flow of paper documents. 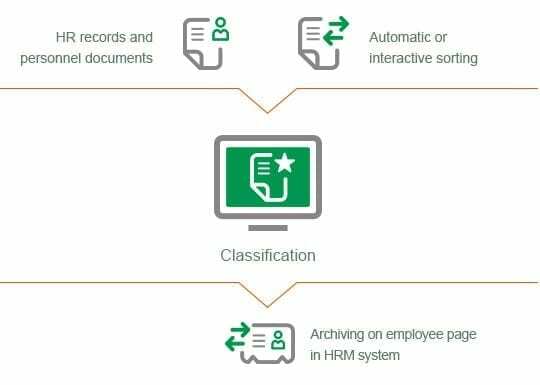 The opening, checking and distribution of these documents takes up a great deal of your employees’ valuable time. What’s more, the paper documents can get lost in transit or sent to an employee who is absent. Archiving the documents takes up valuable space and retrieving them is not always a straightforward task. By processing incoming items of post automatically, you reduce the amount of valuable time spent on the distribution, archiving and retrieval of your documents. Because the documents are immediately digitalized on their arrival, this also saves valuable space in your archive. The incoming postal items are scanned or directly imported from the e-mail, after which they are sorted automatically or interactively. In classifying the documents, ImageCapture utilizes the existing selection options in your CRM application such as document type, contact or employee. If you have a workflow application, ImageCapture fits in seamlessly with this, and a request will automatically be sent to the employee responsible for the further processing of the document. It is also possible to have the documents (automatically) sent from ImageCapture. The digital document is exported to your CRM application and can be retrieved from there, for example from the contact’s screen. ImageCapture utilizes advanced OCR (Optical Character Recognition) technology while scanning the documents, and creates the digital version in a text searchable PDF format. The documents can also be exported in various other file formats, such as CSV and XML.